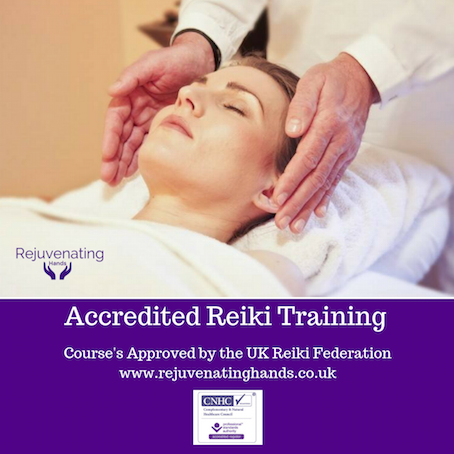 I am pleased to announce that Rejuvenating Hands is the only place in the Essex area to hold Reiki training courses that are approved and verified by UK Reiki Federation. There are just 30 approved Reiki training courses in the UK. I offer free on going Reiki training and Reiki share days for all of my students. Once you have completed the 2 days training you will need to complete case studies for your Practitioner certificate. For the UK REIKI FEDERATION approved Practitioner certificate there are extra hours of training required and an additional charge of £65 for your assessment day. Please can you email to confirm a space on the course before placing a deposit. I seem to be having a few problems with my email, if I do not reply to your email, please can you send a sms.